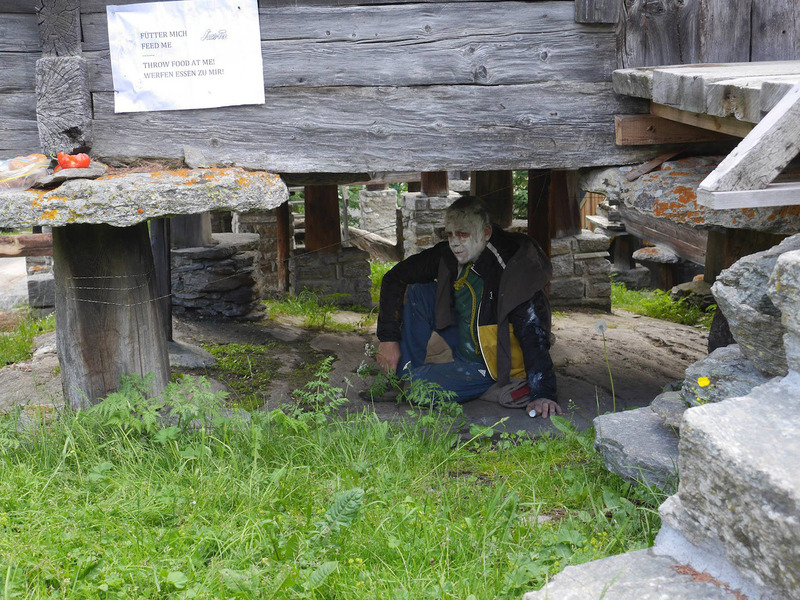 Performance as part of a tour of unrevealed sites of the Swiss village of Saas-Fee. I act as an inhabitant as destitute inhabitant fed to amuse others. There are other motivations relating to encounter and deprivation. A form of false bravery. How the body reacts to rejection. An estrangement from the normal functioning of the social apparatus. On my part, it was a process of simple subjugation yet indifference to all around me. 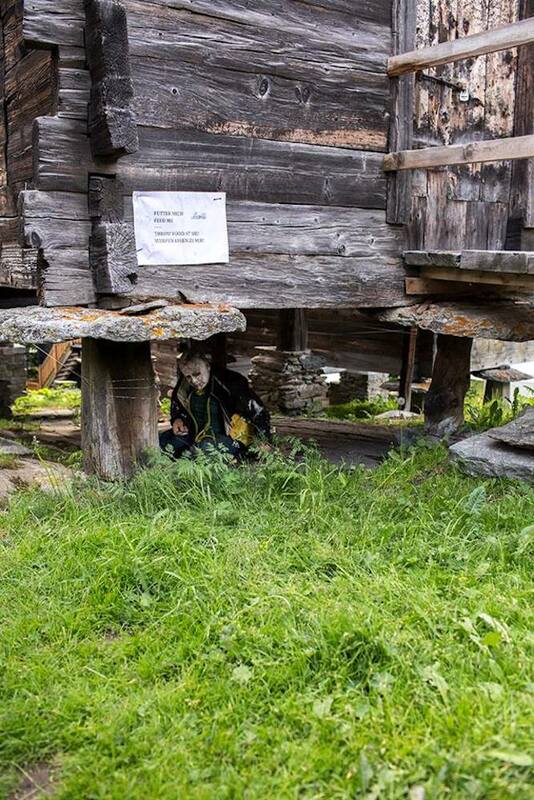 The event: Visitors are invited to witness the temporary transformation of the tourist office, the streets, the meadows and the surroundings of this Alpine village. The works presented intend to reflect upon the notion of the singularity submerged in the multiplicity. They aim to link the knowledge learnt, shared and re-conceived during the past weeks through multiple means to generate conversations within estranged space. Gianni Wise, “Raccard inhabitation”, 2015, (performance view). Photo courtesy of Genevieve Costello. 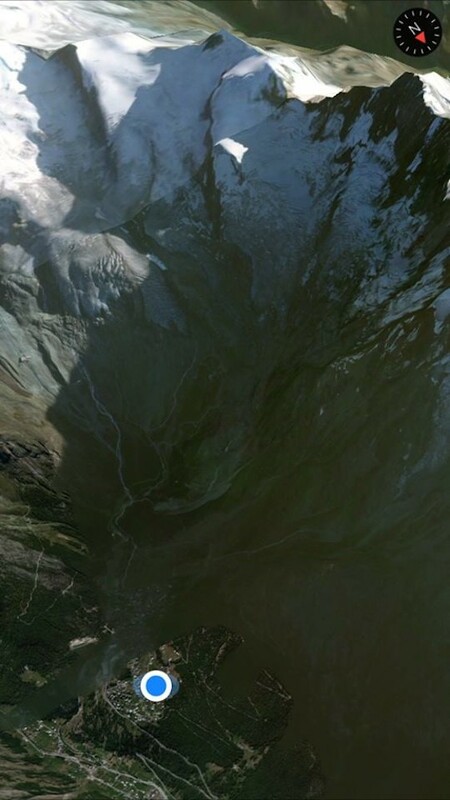 Taking on this mountain village of Saas-Fee in Southwest Switzerland as the site of writing and curating with a series of site-specific installations and performances. Visitors were invited to witness the temporary transformation of the tourist office, the streets, the meadows and the surroundings of the small Alpine town. The works presented intend to reflect on the notion of the singularity submerged in the multiple. ––––Participants: Alex Anikina, Josephine Baker-Heaslip, Jonas Becker, Sarah Bernhardt, Stéphane Blumer, Benjamin Busch, Genevieve Costello, Jacquelene Drinkall, Carla Fernández, Ilse Frech, Dawn Gaietto, Verina Gfader, Stephanie Greene, Matthew Hanson, Maegan Harbeidge, Maggie Hazen, Lelia Kozma, Soyoung Kwon, Mickey Lee, Jiyuan Li, Sofia Lopes Borges, Katja Nadine Hogenboom, Ludovica Parenti, Katya Petetskaya, Chandra Pok, Kiersten Puusemp, Jack Schneider, Jack Segbars, Blake Shaw, Paul Stewart, Penny Victoria Rafferty, Gianni Wise, Roxanne Yamis, Sarah Züst rock rock rock rock a rock self-affirmation is violence and so the future they were describing seemed to be the temporary replacement of their present, a verbal act of leaning for ideas one can’t quite obtain just yet or a marred mirror, where boundaries are too entangled to be told apart… self-affirmation is violence and so the future they were describing seemed to be the temporary replacement of their present, a verbal act of leaning for ideas one can’t quite obtain just yet or a marred mirror, where boundaries are too entangled to be told apart Participants have created a series of site-specific installations and performances.